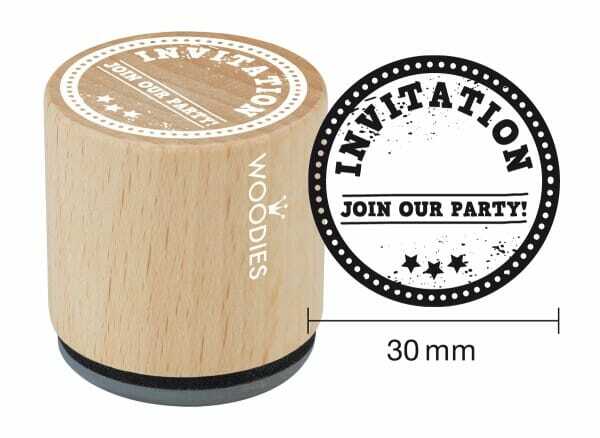 Let everyone know in style about the birthday party, wedding or any big occasion you want to celebrate with the woodies stamp featuring 'invitation join our party!' wording, you simply fill in the when and where. Made from beech wood and 100% natural rubber, the dainty 30mm stamp will give each invitation a charming finish. The woodies stamp will be sure to put a smile on each recipients face. Customer evaluation for "Woodies stamp Invitation Join our party!"